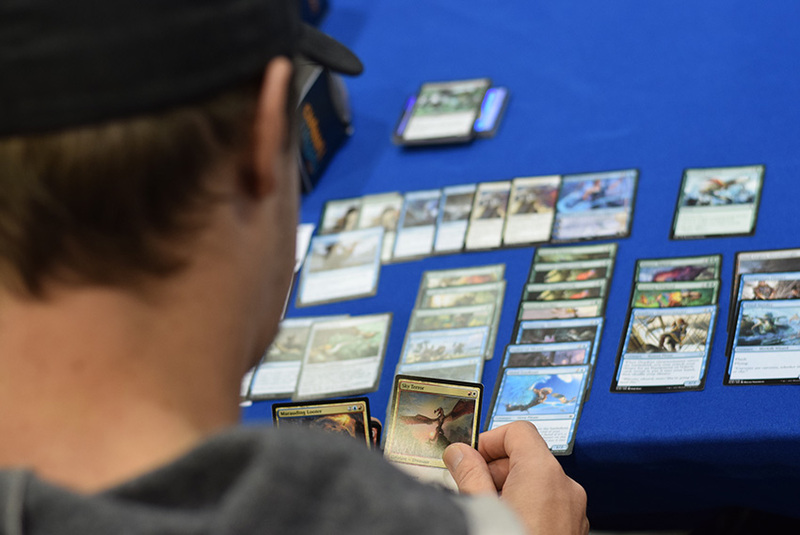 The action came fast and furious the first day of Ixalan Limited in Arizona—almost as fast as the Limited format itself. 1,076 players got themselves prepared and marched into the dinosaur-infested waters (yes, there are swimming dinos on Ixalan, get over it). Though Ixalan Limited is by no means as quick as formats like Zendikar or Kaladesh, it is about getting small creatures on the board and making them kill your opponent dead. Though there were some "going-big" advocates (more on that later), for the most part, the merfolk, pirates, and dinosaurs furiously feasted on whatever carcasses they could get their hands or claws on—which was usually a poor soul who missed a turn or two on land, or couldn't quite get a curve to work out right. 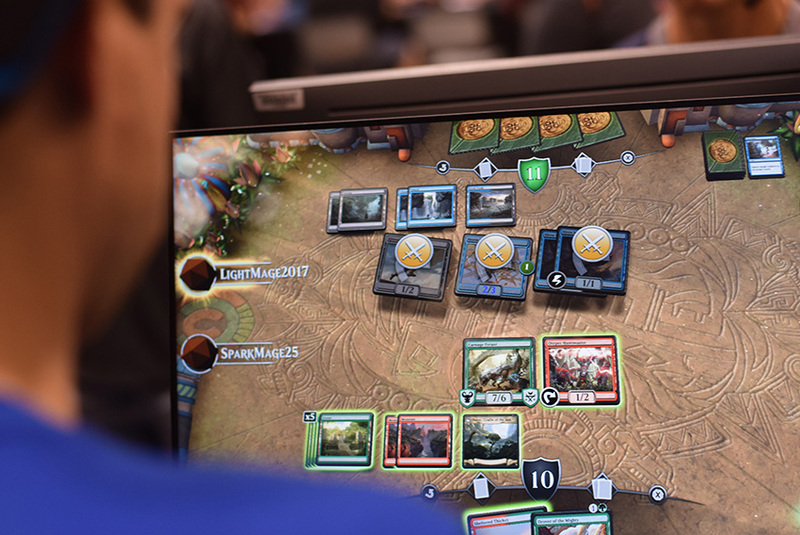 In addition to the games, there were art scavenger hunts, Halloween costumes, playable Magic: the Gathering Arena digital demos, and whole bevy of side events to gnaw on. And with Pro Tour Ixalan next week in Albuquerque, people are even bustling about what Standard will look like when the big show commences. Let's take a quick look at just some of the events of the day. 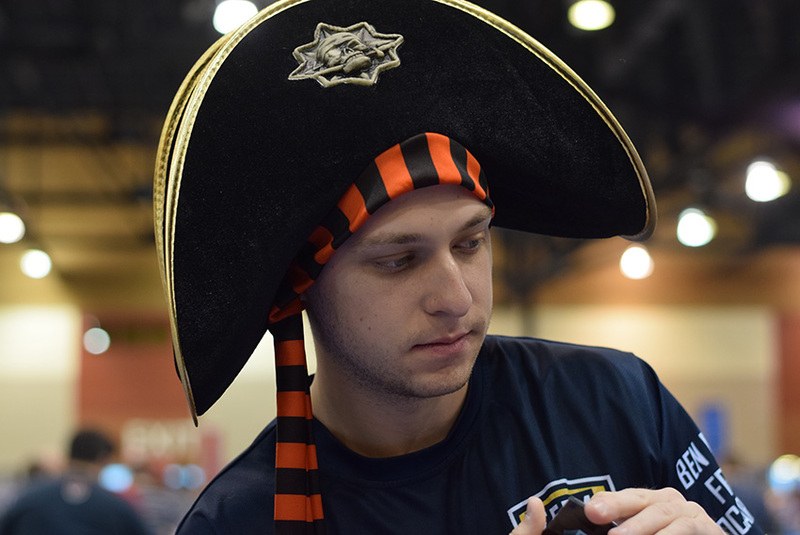 Pro Tour Amonkhet winner Gerry Thompson didn't quite have the banner day, but his difficult Sealed pool highlighted some aspects about Ixalan Limited in general. He sat down in the morning, splaying out his cards, hoping for something that could get him into the second day. Though some people have said that Sealed is better than Draft for the slow ramp or control decks, Thompson was still looking for the defined archetypes. "Yeah, [slower decks] are ok, but hopefully there's a Draft deck waiting for me at the Sealed table," Thompson said. Sadly, this time there wasn't, and Thompson had to make do. Looking at a couple suboptimal builds, he tried to pick the best of some bad options. His Black didn't have the creatures; his Red was just not there at all. And an otherwise-good-looking Green-White configuration sorely lacked tricks. "It's just a pile of creatures," he said. "And these two Commune with Dinosaurs are basically just two more of them." He did have two Pious Interdiction, and tried a Green-Blue with a splash for the powerful removal spells, but the solid two-color strategy, though unexciting, was a more consistent look. 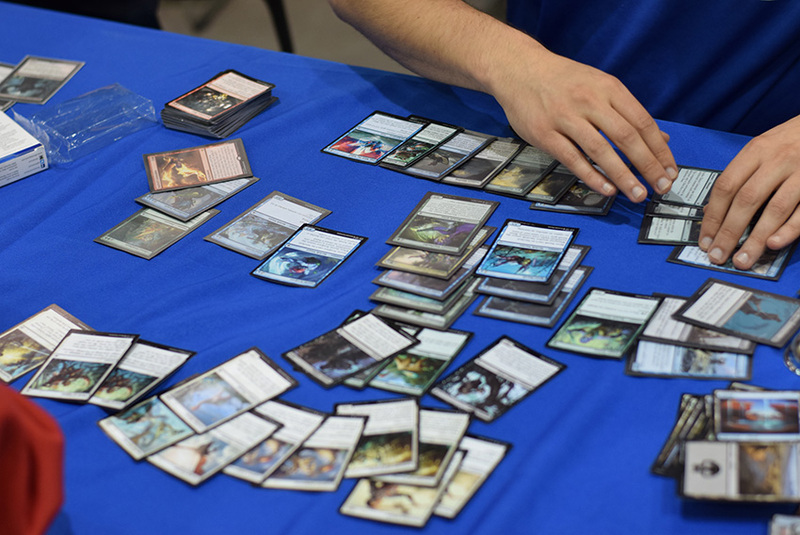 The format can be fast, with Vampires and Merfolk leading the charges into the combat zone. If you don't get yourself a foothold, you can crash and burn. With a deck like Gerry's, cheap combat tricks are the name of the game. And the Pro Tour champ had none. He hoped he could beat the odds. He didn't do as well as he would have liked, but Sealed is a harsh mistress (and also a harsh mister). Sometimes you bite the Bar the Door, and sometimes it bites you. What Card Evaluations Changed the Most? As this format was decidedly more aggressive than it first appeared, many card evaluations have changed since Ixalan's release. I caught up with a few pros and asked: What Ixalan card evaluation changed the most over the last month? Though the first and most common answer was Pirate's Cutlass—the little equipment that pumps everything just out of range—there were some other interesting answers to be had. Brian Braun-Duin and Brad Nelson started off the party talking about Mark of the Vampire and Bishop's Soldier. Both these cards skew aggressive, and can be mediocre to just plain bad depending on the format. However, they shine in Ixalan. Bishop's Soldier specifically was a surpise, the former World Champion said. As racing is critical in the format, just a few extra life can be the difference. Add to the mix a combat trick or two to unexpectedly save the soldier, and the life total lead can become insurmountable. 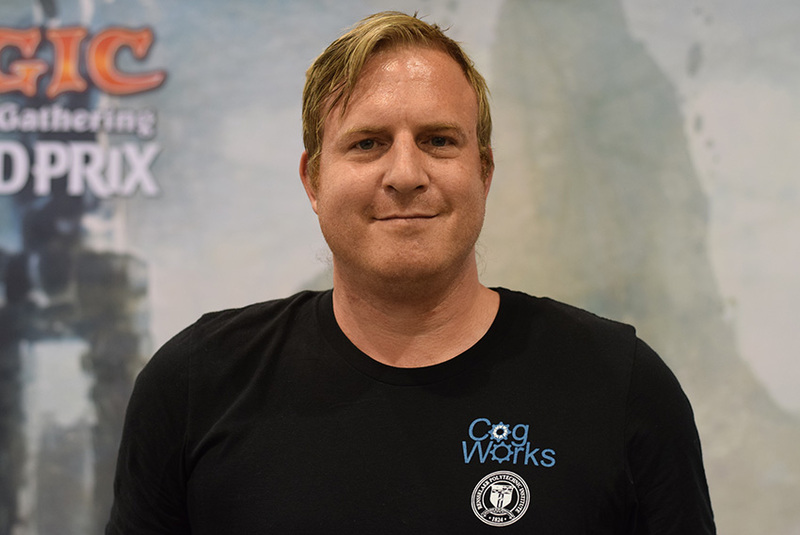 Pro Tour Magic Origins champion Joel Larsson said Blight Keeper and Skittering Heartstopper have been better than expected. 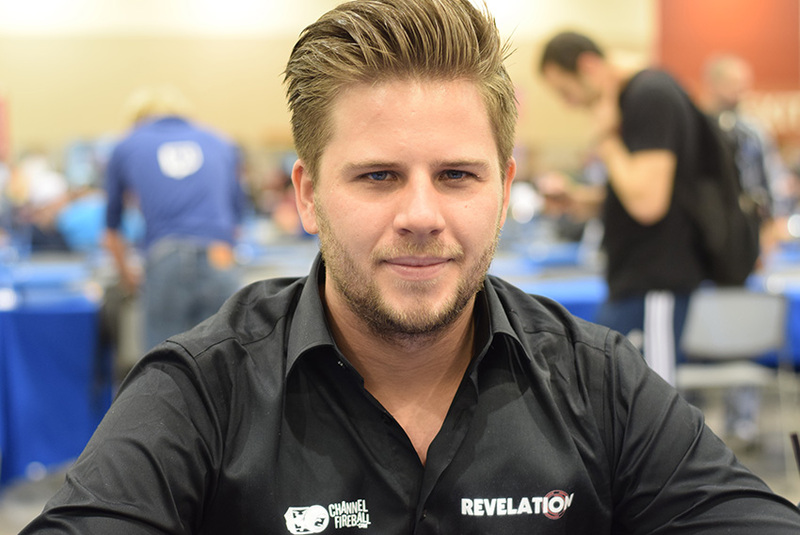 Joel Larsson also answered with some aggressively skewed cards that have over-performed. The two black one-drops, Blight Keeper and Skittering Heartstopper, act as both raid enablers, and good ways to get the vampire deck started on the right mana-curve path. Though neither are close to first picks, they are much better in the format than they looked initially to Larsson. Lastly, Southern Californian Corey Burkhart took it to another level. Because his first experiences with the blue cards in the format were bad, he had basically written off the whole color. He had trouble putting up a fight against all those aggressive decks floating around using the Island-tinged cards. But now with more time, he's found a way to balance both board presence and defense, while leveraging the assets like treasure-making that Blue has to offer. He's found that the color does have its merits, despite the uphill battle. 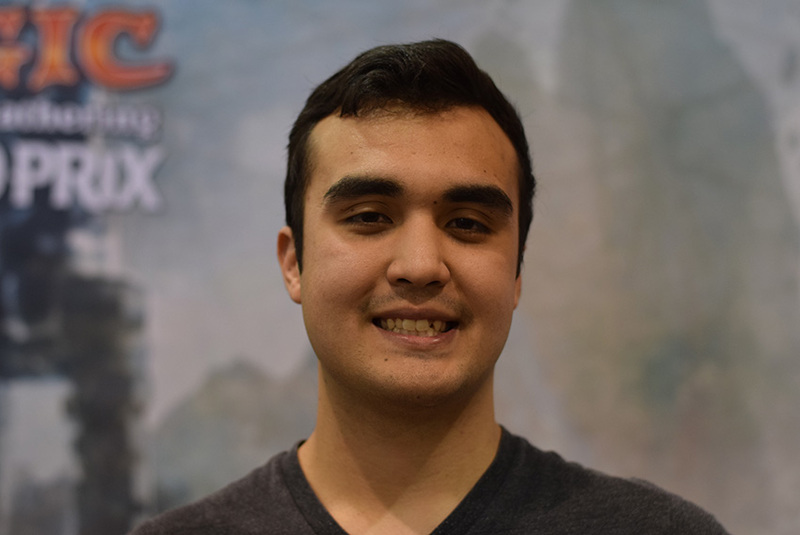 Speaking of playing slower cards despite the uphill battle, Pro Tour Aether Revolt Top 8 finisher Eduardo Sajgalik built a crazy deck out of his Sealed pool that would make the most stalwart of us weak in the knees. It's a crazy five-color deck, eerily reminiscent of his Gift of Paradise decks from Kaladesh days of yore . But unlike last time, Sajgalik said there are fewer five-color options in the world of Ixalan—and getting something like this was more akin to a diamond in the rough. "There's only one option this time," he said. "Open common enablers—Sailor of Means New Horizons, and Prosperous Pirates ... Then your high-end payoff—Sunbird's Invocation, Overflowing Insight." He added, "You need the proper mythic [rare] to want you to play [the deck] ... you don't always get the payoffs you need." But getting those payoffs was exactly what Sajgalik did. In fact, the judge who deck-checked him didn't believe it. Everything was coming up Sajgy. "Oh, and you need some draw spells, because you need to actually draw into your bombs." Sajgalik explained. "On camera against Brad Nelson I started to flood, and then I drew Overflowing Insight and the game just ended." How Sajgalik figured out such a build was playable was different than during Kaladesh. "Last time it was Zen posting it overnight, and me shifting quickly and adapting." 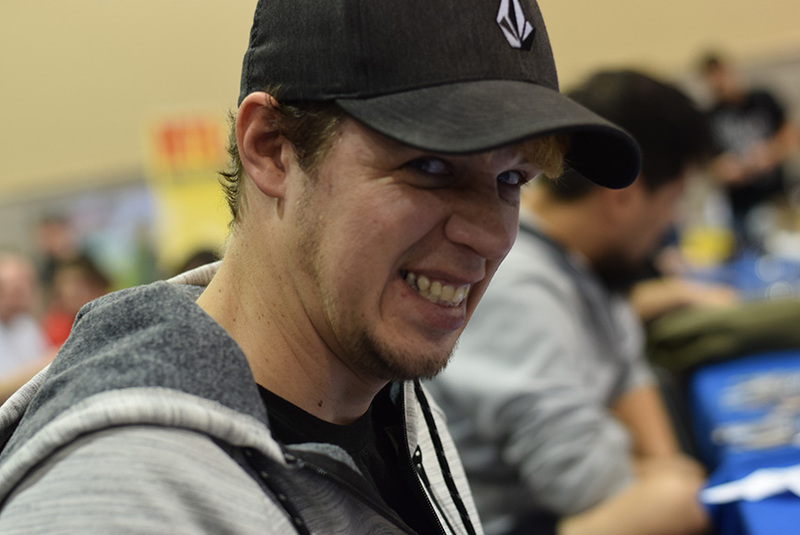 Contrastingly this time, "Michael Jacob streamed a lot of Sealed and posted a spreadsheet with his win rates and 4-5 color over-performed." "It's late in the format, I don't have to figure it out myself—someone else has done the work." He smirked. Twice now he's benefitted from palying this five-color Sealed strat after gaining insight from his surroundings. Smart man. And a smart man who did well defying the common aggro knowledge. 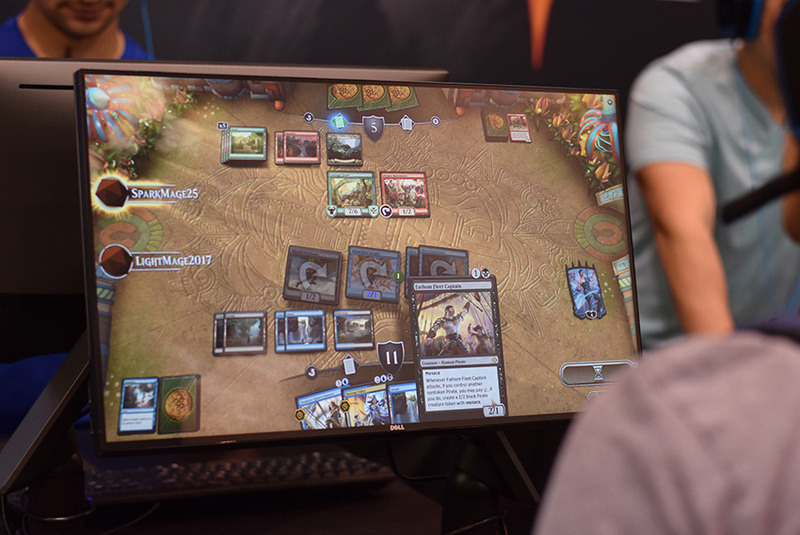 Magic: The Gathering Arena Demos! 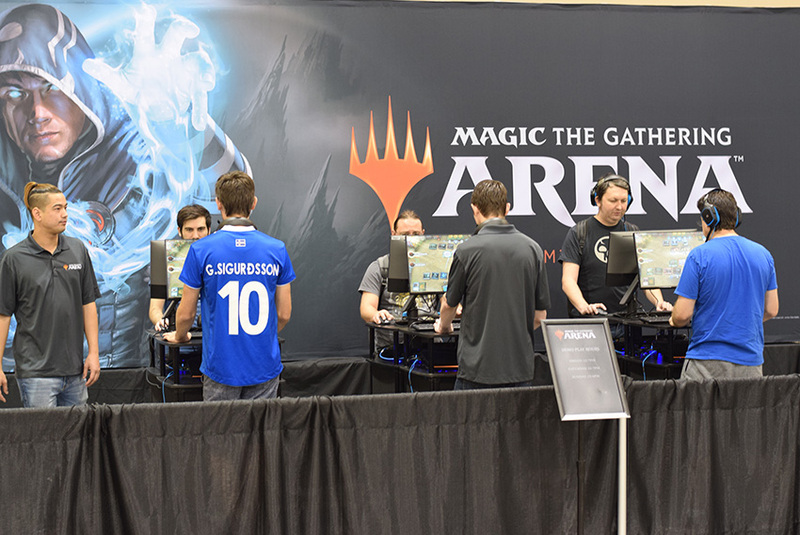 First debuted at the Magic World Championship this year, the demo for the upcoming Magic: The Gathering Arena digital game was live on display at the Grand Prix, and you could catch people from the main event between rounds checking it out. Every single person I talked to said it was exceeding their expectations in terms of smoothness and ease of play. People have high hopes for Arena, and so far those hopes are being met in spades. As if we needed another great Magic experience to make us want to go to Grand Prix. Just because there is a high-value Magic tournament going on, doesn't mean it's more important than the best holiday of the year—Halloween. And some of the players here certainly agree with me. It was spooky, I tell you. 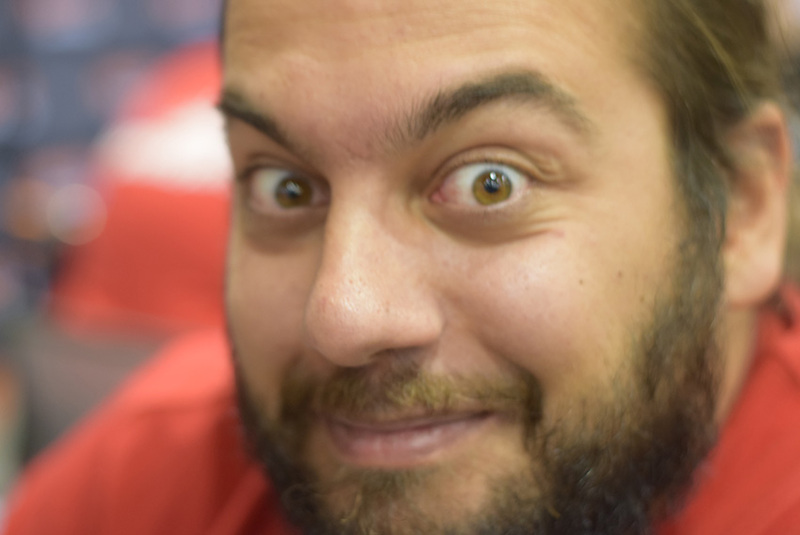 Just look at how spooked out World Magic Cup Team Austria captain Oliver Polak-Rottman is! 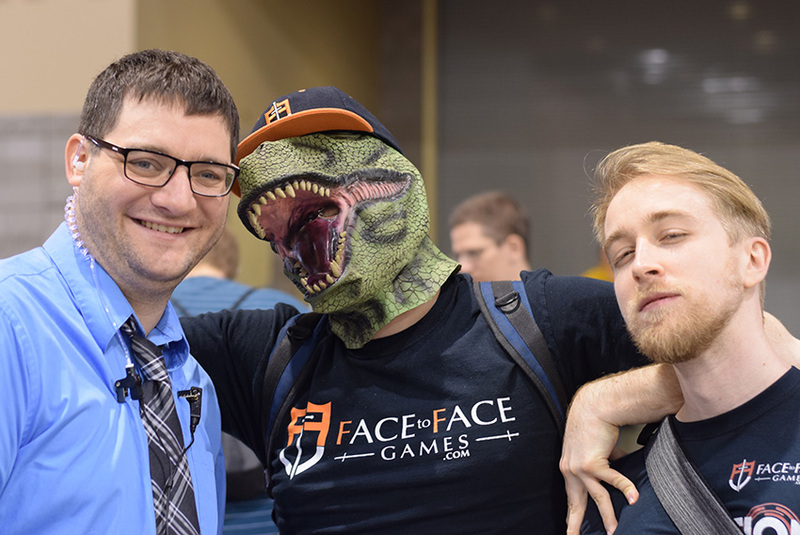 Pro Tour winner Alex Hayne is representing the dinosaur tribe, posing with coverage extraordinaire Corbin Hosler and Canadian Ryan Gosling, Paul Dean. Perennial cap-wearer Ben Friedman exchanged his usual cowboy hat for something with a distinctly more seafaring air. 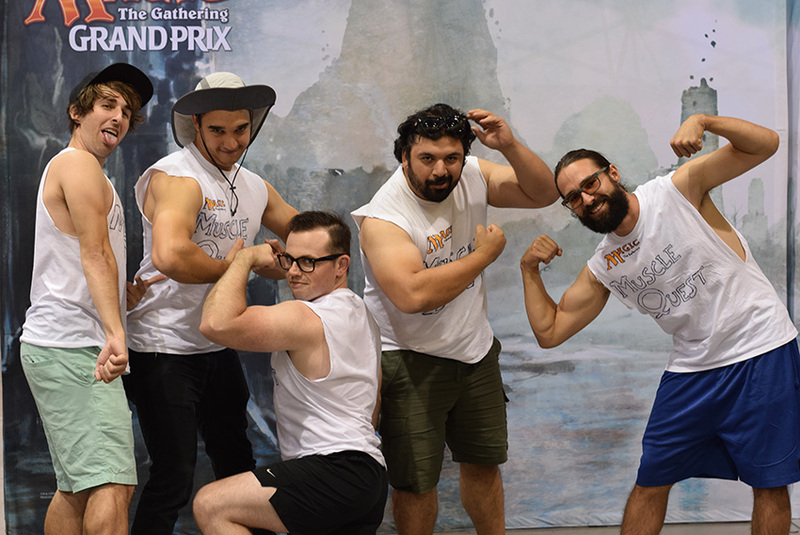 But though both these were good, the clear winner goes to a group of players from Los Angeles who dressed up as the "Beach Garden Oath" sponsored by "Muscle Quest"—a parody of Team Puzzle Quest and the famed team of Reid Duke, Owen Turtenwald, and William Jensen, Peach Garden Oath. Over at the Artists Alley and on Twitter, something very interesting was brewing, thanks to Howard and Shari Lyon. Tweets like this one began showing up every now and then. It might be puzzling and cryptic for some, but for a subset of the community at the Grand Prix, it's the beginning of an adventure for art. Inspired by Jake Parker's "Art Drops," Shari and Howard have begun hiding art in various cities, creating a scavenger hunt, and the finder keeps the art! They've been at it for a few years now, and Howard is quick to credit his wife with the inventive hiding spots and engagement. The items are usually prints or artist proofs, but from time to time they'll hide an original Howard Lyon sketch or two. The crowd is growing and fierce in competition. Shari said she needs to start paying people to hide the art for her, because their fans have caught on to following her as she scouts the next spot. In fact, someone was so disheartened about not attending this GP, so she couldn't participate, she conscripted her boyfriend to scout in between rounds of the main event for her. The duo have developed an exciting way to engage with the art and the artists that we know so well. 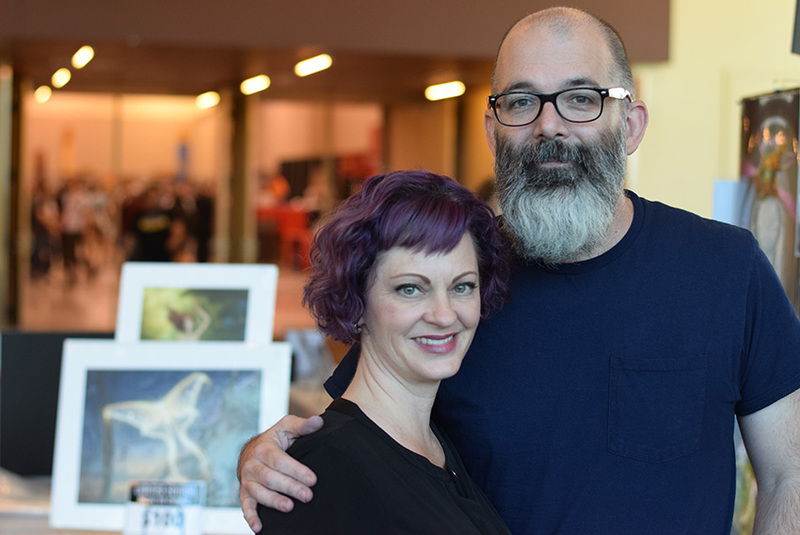 At any event you find Howard and Shari Lyon, you can also find some art, if you're watching out for his twitter: @howardlyonart. Here are just a few happy hunters here at Grand Prix Phoenix! Negotiating all these activities and format considerations takes tons of thought, and can be enough to wear anyone down. But four players today weathered the storm with aplomb and finished unscathed. First up is Sean Miller. A Navy vet from Los Angeles, Miller seriously picked up the game relatively recently—and his pace of improvement sky-rocketed after his friends convinced him to start playing online. 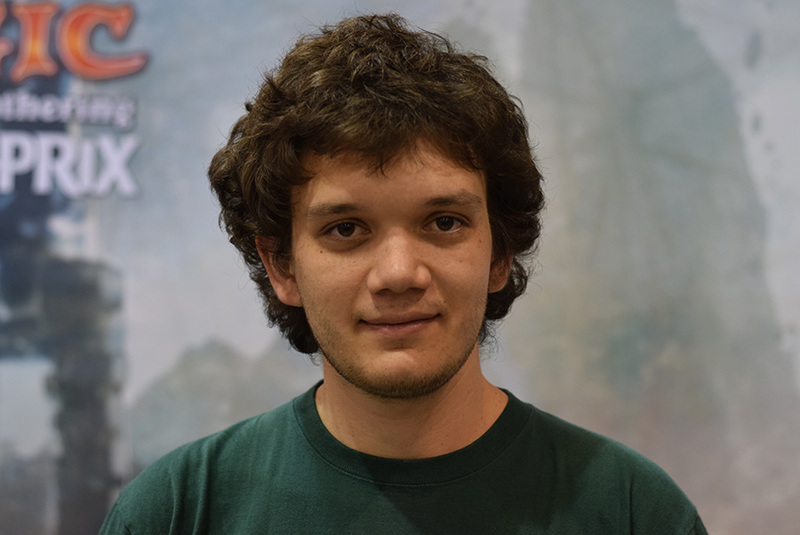 He attributes his first 9-0 partially to his online practice, and partially to his success in the Tetris Classic World Championship that he's done for two years now. After a disappointing finish his first year, he jumped up in the rankings and finished 13th, getting knocked out by the eventual winner. He said all the cameras a pressure of that tournament has surely helped him remain cool throughout the day here. Like Miller, this is also Portland Oregon's Chris Finley's first 9-0. "I've had 8-1 before, but, yeah ... running a little hot here," he said, smiling. He's only been playing a couple years, but this performance today is just the beginning for him. "Dude, I just wanna get to the Pro Tour," he said. 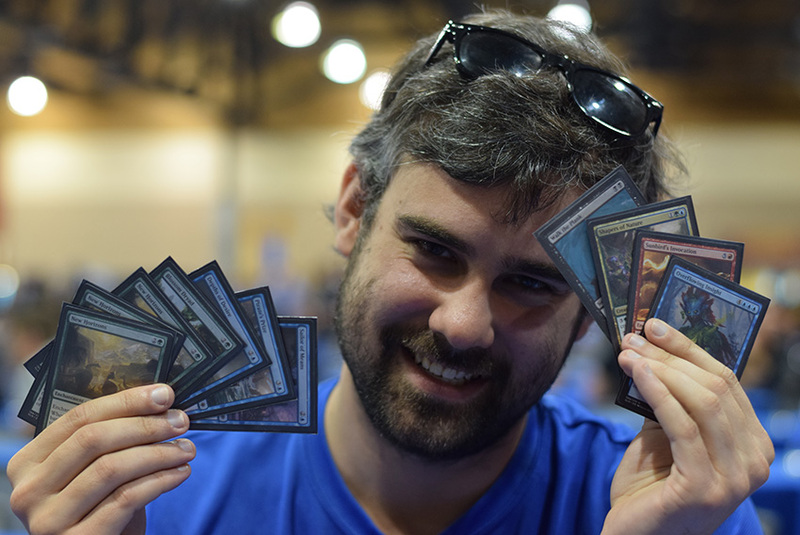 "I played other TCGs in the past, but I started Magic for the highest skillcap." Finley's excited at the idea of trying to find that cap. 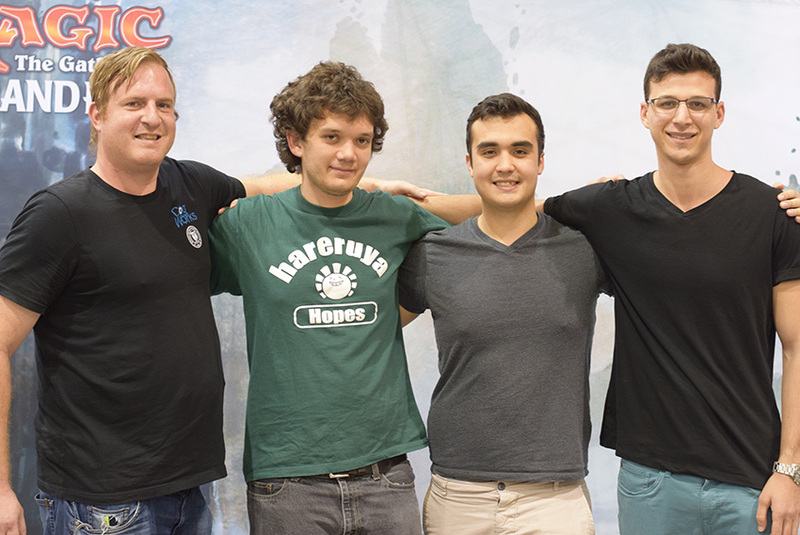 Jacob Nagro's name is familiar, it's because this Silver Pro has played on three Pro Tours already, and just 9-0'ed at Grand Prix Kyoto this summer. He's gearing up for his fourth Pro Tour appearance next week because New Mexico is his home turf. Nagro has done exceptionally well in his first three showings, with 8-8 being his worst record. Ask anyone who's played there—at the game's highest level—and you'll know exactly how good that finish is ... and that's his worst! Lastly is a name undoubtedly you all know. Back-to-back World Champion Shahar Shenhar has been laying low in the Magic scene for a while, but now he starts roaring back with a vengeance. This time I guess it's for all the people who thought he was winning due to "little kid luck" in the Enter the Battlefield documentary featuring him. 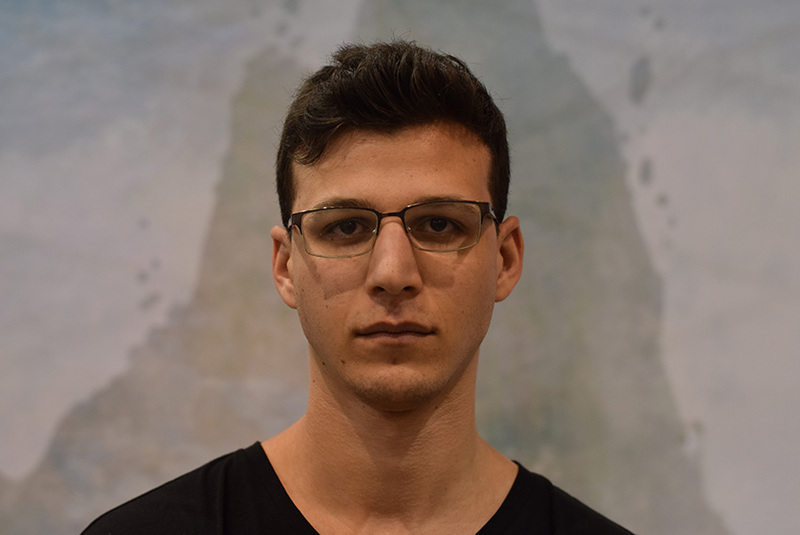 Since the Pro Tour in Japan, Shenhar has been traveling around Israel with his family, and has been back in the country for less than a week. What a welcome-home party! But Shahar isn't celebrating yet. It won't be a victory for him unless he converts this into the Top 8 tomorrow. Those were the stories of the first day of competition and fun! They'll be plenty more tomorrow, so tune in to see just what Ixalan Draft has in store heading into the Pro Tour in Albuquerque.